Jaguar drivers who live in Boonville and Columbia come to Midwest Autoworx when their vehicle is in need of service. Our skilled auto mechanics are known in the region for consistently offering stellar auto repair and genuine customer service. You’re not just a number to us. You will be treated with the utmost integrity and respect. Bring your Jaguar to us and see why customers choose us as their leading auto repair shop for years. Complimentary shuttle service and free loaners cars. For Jaguar services, call Midwest Autoworx or schedule an appointment online. We’re located at 2001 Rangeline Street in Columbia, MO 65202 and 1300 W. Ashley Road in Boonville, MO 65233. 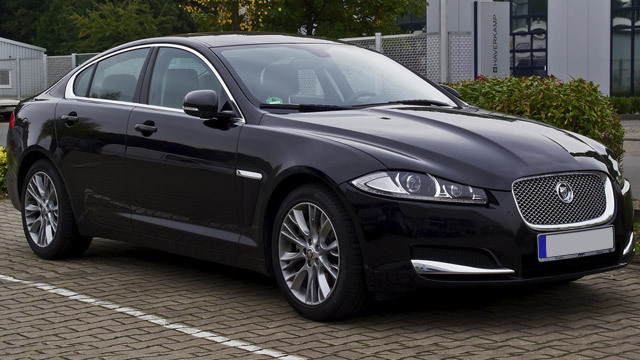 Our professional and qualified auto mechanics will provide you with the most quality Jaguar repair in the region. We look forward to your visit!